Difference between revisions of "Areticus Altainatus"
During the year 36 ABY, Areticus found himself captured by none other than the admired Kelly Mendes. She had been the favorite of the [[Voice of the Brotherhood]] [[Marick Tyris]] within the [[Inquisitorius]], and was personally sent to collect him. Even after the [[Great Jedi War XII]], the [[Collective]] had still been a strong enemy against the Brotherhood. As a part of a reconnaissance assignment, they discovered that there had been support both in credits and hyperdrives provided by Altainatus Industries. Areticus explained to the Voice that he had no personal affiliation with the company, and that his father had driven him before he could be claimed as heir. Although this was the honest truth, word spread throughout the brotherhood of Areticus as a traitor, and a bounty had been set for his capture. To clear his name from the works of Altainatus Industries, Areticus had to investigate who exactly in the corporation was directly aiding the Collective. Kelly and Marick also pressured the idea of Areticus reclaiming his right to the majoral shares once owned by his mother, and using the industries’ assets to aid the brotherhood. Areticus began his investigation in Coruscant, his own personal home and the home for Altainatus Industries. He met with [[TuQ'uan Varick]], who introduced him to [[Laren Uscot]]. Laren, at the time, had been in deep cover within the Collective, and possessed extensive knowledge on the names of smugglers and business owners that secretly worked with the Collective. The three infiltrated into the main corporate building of Altainatus Industries, and uncovered within it’s archives the names of who was supplying who with credits and hyperdrives to the Collective. Areticus and Iios, along with Lo-Kain, Laren, and TuQuan infiltrated a warehouse where the exchanges were made, and eliminated all the names from both The Collective and Altainatus Industries that conducted business together. Areticus was then confronted by his father, explaining that the eliminated men were easily replaceable, and that business with The Collective was for profit and not for hatred against Force Users. Threatening the powers learned from the brotherhood, Areticus reminded his father he could easily reveal himself to the corporation and fight for his shares. In exchange for remaining ‘dead’ to Altainatus Industries, his father would relinquish all business conducted with affiliates of the Collective. Areticus began his investigation in Coruscant, his own personal home and the home for Altainatus Industries. He met with [[TuQ'uan Varick]], who introduced him to Laren Uscot. Laren, at the time, had been in deep cover within the Collective, and possessed extensive knowledge on the names of smugglers and business owners that secretly worked with the Collective. The three infiltrated into the main corporate building of Altainatus Industries, and uncovered within it’s archives the names of who was supplying who with credits and hyperdrives to the Collective. Areticus and Iios, along with Lo-Kain, Laren, and TuQuan infiltrated a warehouse where the exchanges were made, and eliminated all the names from both The Collective and Altainatus Industries that conducted business together. Areticus was then confronted by his father, explaining that the eliminated men were easily replaceable, and that business with The Collective was for profit and not for hatred against Force Users. Threatening the powers learned from the brotherhood, Areticus reminded his father he could easily reveal himself to the corporation and fight for his shares. In exchange for remaining ‘dead’ to Altainatus Industries, his father would relinquish all business conducted with affiliates of the Collective. Afterwords Areticus reported his mission to Marick and Kelly, explaining that taking over Altainatus Industries for the brotherhood’s benefit is in the horizon, but would require more time and training to accomplish correctly. Because of his success, Areticus was granted the title of Inquisitor, along with the assets and training thereof. * [[Taranae Rhode]], Kelly Mendes’ wife. * [[Tu’Quan Varick]], a mercenary from Clan Plagueis. * [[Laren Uscot]], one of the prominent heroes of Clan Plagueis. * Laren Uscot, one of the prominent heroes of Clan Plagueis. 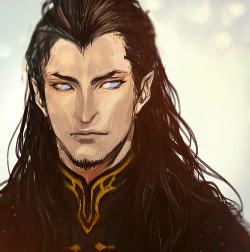 * [[Marick Tyris]], Voice of the Brotherhood and Areticus’ Inquisitorius boss. * [[Kylex Sanguris]], from a holocron deal gone wrong. In 10 ABY, Jacques Rael and Amilia Altainatus bore a son. This boy was given the name Areticus Altainatus, and was dubbed by his mother to be heir to Altainatus Industries upon coming of age. In his early stages, Areticus spent most of his time learning proper aristocratic etiquette and was sent off to the Urscru Boarding School Academy at the insistence of his father. In between semesters, he would return to the estate and be welcomed only by his mother before returning to his education. In 25 ABY, when Areticus had reached the age of 15, he had received notice of his mother’s death. According to his father, his mother had died in transport to the summer retreat in Naboo from a malfunction from a prototype hyperdrive installed in her yacht. Although distraught, Areticus never believed his story; convinced that his father had something to do with her death. At one point, Areticus discovered evidence in his father’s archive that Amelia had been alive all along. Angered by the lies he had been told, Areticus confronted Jacques about his discovery. His father explained that his mother had left the family to run off with another man and that her death would be a more respectable explanation as opposed to telling Areticus the truth. This became a pivotal moment in Areticus’ life, where he had pondered on how many lies he had been told, and the value in seeking the truth underneath them. When Areticus had come of age to inherit the full shares of Altainatus Industries, he was met with conflict by both the industries’ board and his father. The claim was due to his mother’s absence, her shares were forfeit to Jacques until Areticus was to come of age. Now he was presented with a choice: to surrender his inherited shares to Jacques, or to have an untimely death due to a malfunction from a prototype hyperdrive. Not wanting to lose his only chance on inheriting his family’s legacy, Areticus refused and went into hiding from his father. At the beginning of his incognito days, Areticus had struggled for survival on the lower districts of Coruscant. Although he had been well educated, he had very little experience of life around him. Hired mercenaries from his father were sent to look for him and cause an “accident”, but Areticus did well to avoid being caught. He eventually met with a young traveling pilot named Felix Fulmen, who sought adventure, treasure, and fame. Areticus convinced Felix that he could find priceless artifacts across the galaxy exchange for protection, housing on Felix’s ship, and an even split in the profit. Together, the two set out on an adventure to find lost holocrons scattered throughout the galaxy. Areticus researched and Felix collected. Although it came into a conflict between the two when Areticus discovered the potential knowledge gained through holocrons. Instead of selling them, Areticus coveted the holocrons and tried to learn the ways of the Force through each one. This was his beginning steps in going down the path of the Sith. Felix, however, was uninterested and wanted profit. Their search then expanded to other artifacts, once Areticus was willing to part with and sell, and others he was not. Some of their travels were met with conflict too much for the young pilot and scholar, resulting in a loss of potentially good items. They needed a combatant and a scary one. Areticus suggested Iridonia to collect a Zabrak warrior to serve as their fighter. Areticus gave the impression of a Sith Master looking for a potential apprentice amongst one of the warrior tribes. He would display minor tricks and abilities learned from studying his holocrons, which convinced the tribe elders to select one of their warriors for training. Thus, the Zabrak warrior Lo-Kain Vameilaga came aboard and joined the team as Areticus’ apprentice. With Areticus wanting more holocrons, and Lo-Kain seeking instruction, the three increased their search for Holocrons more so than profitable treasures. To keep Felix happy, Areticus reluctantly agreed to sell off the Holocorons he had learned all he can from. A particular rare Holocron was heard to be in possession of a Hutt named Hunda, residing on Nal Hutta. This was found for Hunda as a birthday gift, with the party not too far off. Areticus and Felix infiltrated the party as guests, leaving Lo-Kain to guard their ship. Felix worked on being a distraction for prying eyes and security while Areticus investigated the whereabouts of Hunda’s holocron. When Areticus had obtained the gift, he was met with Kelly Mendes, who also sought the very same holocron. Kelly pursued Areticus and Felix’s attempts to flee from here, only to be confronted at their ship. Kelly easily combated all three of the holocron hunters with her mastery of the Force, offering their lives in exchange for what she came for. When she discovered the collection Areticus had amassed on their ship, she saw potential in the young scholar and told him of a place where he could learn to be a great Sith. This was where Areticus was first introduced into the Dark Brotherhood. Areticus was brought to Clan Plagues, the faction Kelly had resided. However, he spent most of his time in the Shadow Academy during his initial stages in the brotherhood. Adept in being a scholar, and with a hungering interest in the Force, he naturally excelled in comparison to his peers. He refused to be guided by a master and relied on his research and application of said research to progress him forward. During his own development, he also maintained training for Lo-kain, utilizing the combat facilities of the brotherhood to distract the Zabrak warrior. Lo-Kain clung onto Areticus, reminding him that he left his homeworld and clan to become stronger. This was an obligation now, for Areticus, who came to enjoy the idea of being a teacher and mentor. It didn’t take long for the Plagueis summit to deem him worthy of knighthood. In an argument with Felix, Areticus felt obligated to resume the artifact hunt with the young pilot. Felix had little interest in the ways of the Dark Side or the Brotherhood but agreed it was good for Areticus and Lo-Kain to learn in becoming better combatants. Felix convinced that, know that Areticus was a knight, there was very little the brotherhood could teach him and that they should continue their treasure hunting. Lo-Kain agreed to join, only if Areticus continued his instruction into making Lo-kain worthy of knighthood as well. The trio spent nearly two years of searching before both Areticus and Lo-Kain became homesick to the abundance of knowledge and power the brotherhood provided. Eventually, it came to the conclusion where Areticus and Lo-Kain cut ties with Felix and their artifact hunting. With the loss of Felix, Areticus felt the need of acquiring another ally skilled in piloting and useful skills outside of the Force. He and Lo-Kain went to Tatooine, where they found a Chiss by the name of Iios Singuard. Iios had a love for hunting bizarre and wild game, and dreamed of expanding his hunts throughout the galaxy. After assisting with a hunt in the sands of Tatooine, Areticus offered the assets of his teachings and learning in the Brotherhood in exchange for his service as a personal pilot. Although friendships were made, Areticus had been slightly disappointed in learning Iios initially wasn’t a skilled pilot, nor did he have a ship. So Areticus instructed Iios in the basics of flight and had him pilot Areticus’ own ship for the time being. News had come to Areticus of a celebratory vacation funded and hosted by the leaders of Clan Plagueis. The young Sith reported to the Ascendancy with Lo-Kain and Iios in attendance. He, along with many other members, found it disappointing to discover the vacation was in the swamp world of Dagobah. It was decided that Areticus and Lo-Kain would make the best they could of the situation and help Iios hunt down a Dragonsnake for sport. During their exploration, they encountered a cave that was dense in power of the Dark Side. Becoming saturated in this area seemed to have amplified Force sensitivity. Within the dwelling, Iios’ ability to use the Force was discovered. Areticus felt it was time to take upon a new apprentice, and formally knighted Lo-Kain, knowing full well he had nothing left to teach the Zabrak. He then took Iios as his own apprentice, and taught him the ways of the Force. During the year 36 ABY, Areticus found himself captured by none other than the admired Kelly Mendes. She had been the favorite of the Voice of the Brotherhood Marick Tyris within the Inquisitorius, and was personally sent to collect him. Even after the Great Jedi War XII, the Collective had still been a strong enemy against the Brotherhood. As a part of a reconnaissance assignment, they discovered that there had been support both in credits and hyperdrives provided by Altainatus Industries. Areticus explained to the Voice that he had no personal affiliation with the company, and that his father had driven him before he could be claimed as heir. Although this was the honest truth, word spread throughout the brotherhood of Areticus as a traitor, and a bounty had been set for his capture. To clear his name from the works of Altainatus Industries, Areticus had to investigate who exactly in the corporation was directly aiding the Collective. Kelly and Marick also pressured the idea of Areticus reclaiming his right to the majoral shares once owned by his mother, and using the industries’ assets to aid the brotherhood. Areticus began his investigation in Coruscant, his own personal home and the home for Altainatus Industries. He met with TuQ'uan Varick, who introduced him to Laren Uscot. Laren, at the time, had been in deep cover within the Collective, and possessed extensive knowledge on the names of smugglers and business owners that secretly worked with the Collective. The three infiltrated into the main corporate building of Altainatus Industries, and uncovered within it’s archives the names of who was supplying who with credits and hyperdrives to the Collective. Areticus and Iios, along with Lo-Kain, Laren, and TuQuan infiltrated a warehouse where the exchanges were made, and eliminated all the names from both The Collective and Altainatus Industries that conducted business together. Areticus was then confronted by his father, explaining that the eliminated men were easily replaceable, and that business with The Collective was for profit and not for hatred against Force Users. Threatening the powers learned from the brotherhood, Areticus reminded his father he could easily reveal himself to the corporation and fight for his shares. In exchange for remaining ‘dead’ to Altainatus Industries, his father would relinquish all business conducted with affiliates of the Collective. Lo-Kain Vameilaga, Areticus’ first apprentice. Iios Singuard, Areticus’ second apprentice. Kelly Mendes, Areticus’ former Inquisitorius and Plagueis boss. Taranae Rhode, Kelly Mendes’ wife. Tu’Quan Varick, a mercenary from Clan Plagueis. Laren Uscot, one of the prominent heroes of Clan Plagueis. Marick Tyris, Voice of the Brotherhood and Areticus’ Inquisitorius boss. Kylex Sanguris, from a holocron deal gone wrong.